This heirloom diamond wedding ring is crafted in 14kt White Gold. It showcases 8 brilliant-cut round diamonds of clear G-H Color, VS1 Clarity. 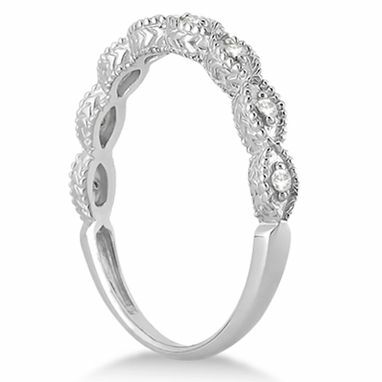 The diamonds are set in a pave setting and sit within marquise shapes. The band features milgrained edge designs and scroll work. 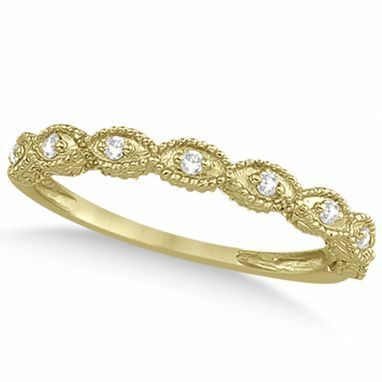 This vintage inspired bridal band is available in other metals.